From Apricot Kernel Oil is a light yet emollient oil high in Oleic and Linoleic acids and vitamin A and E. It is readily absorbed making it a good choice for mature, inflamed and sensitive skin. 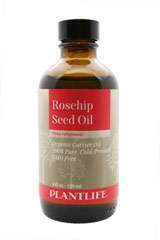 Also help maintain elasticity, suppleness, and calms irritation from eczema and dermatitis. Excellent for aromatherapy, massage and DIY skin and body care formulations. Directions: In a small pot, combine the Apricot Kernel Oil, Coconut Oil and Beeswax over low heat until melted. Whisk to combine ingredients and then remove from heat. Add essential oil of choice and whisk again. Pour into tube or container and let it sit until it's firm and cool. says this twice. Please remove one.